I just fell in love with this song. DJ Dream Team from LA has got some real talent. Check out the song Compact Disco. It delivers everything to title promises. A friend of my just got all excited because he "discovered "the sickest new blog". I asked him what it was, and he said, "I think it's called like... Penned Madness or something?" 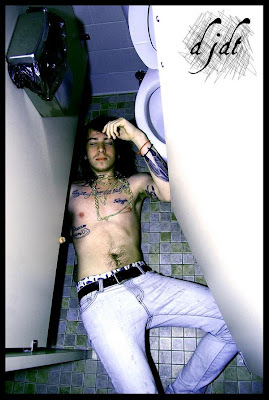 This guy look like a young version of Girl Talk...except drunk and passed out on the floor of a public restroom.= i think im in love. These guys are siiiiick!!! When are they going on tour?